With the open source 3.03 version of ZenLB, I believe I've isolated one cause for the "Error in content3-3 cgi execution, see ZEN logs" message when attempting to configure a Cluster and using the "Configure RSA connection between nodes" button. I reported the bug to http://zenloadbalancer.sourceforge.net/bugs and been told “[t]hat is a bug that is solved for the next 3.05 version” by J. Robels. 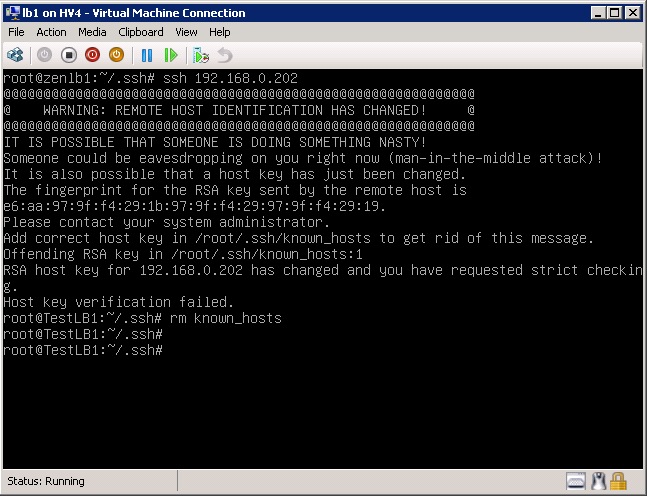 The SSH keys on TestLB1 /root/.ssh/known_hosts file is no longer valid for referencing TestLB2. Delete the /root/.ssh/known_hosts file from TestLB1. You will now get the "SUCCESS! Running process for configure RSA communication. " when pressing the "Configure RSA connection between nodes" button.